There are rooms available for rent in this 5-bedroom apartment on Reinickendorfer Straße, Mitte. This 85 m² property offers a fully equipped kitchen with an oven, washing machine and dining table. There is 1 shared bathroom with a shower and a separate toilet, and central heating throughout. This property is newly renovated and beautifully modern. Located in the Mitte area, this property is about 15-minutes from the heart of Berlin via public transport. There is a supermarket and pharmacy within a minute's walk of this property, as well as many cafes and restaurants, making this a really convenient location. The community centre is about 3-minutes' walk away, where you can also find a park and art gallery. 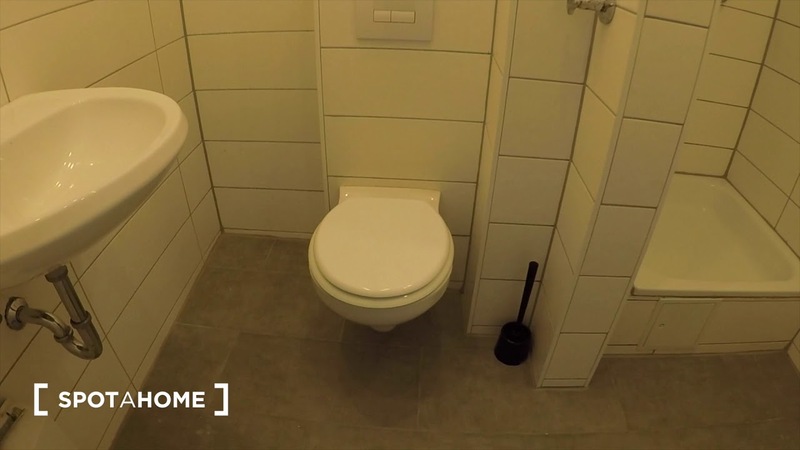 The shared bathroom is equipped with a shower, toilet and sink, with another separate toilet. There is central heating throughout this apartment. This apartment has a washing machine, which can be found in the kitchen. This property is close to the city, and surrounded by great ammenities. There is only 1 shared bathroom in this apartment. This property is on the 2nd floor of the building, which doesn't have an elevator. Price shown is for 1 person. Price for 2 people +€120/month. Maximum stay: 25 months (750 days). The Nettelbeckplatz/S Wedding (Berlin) bus stop is a 2-minute walk from this property and services lines 247 and M27. The S+U Wedding (Berlin) transit stop is a 4-minute walk from this property and services train lines S41 and S42, Metro line U6 and bus lines 120, N6 and N20.